Nandina domestica Flirt is a new introduction that is perfect for gardens and patio planters due to its compact growing nature. This sacred or heavenly bamboo as Nandina are also known will not outgrow its welcome reaching around 40-50cms high and wide at maturity. 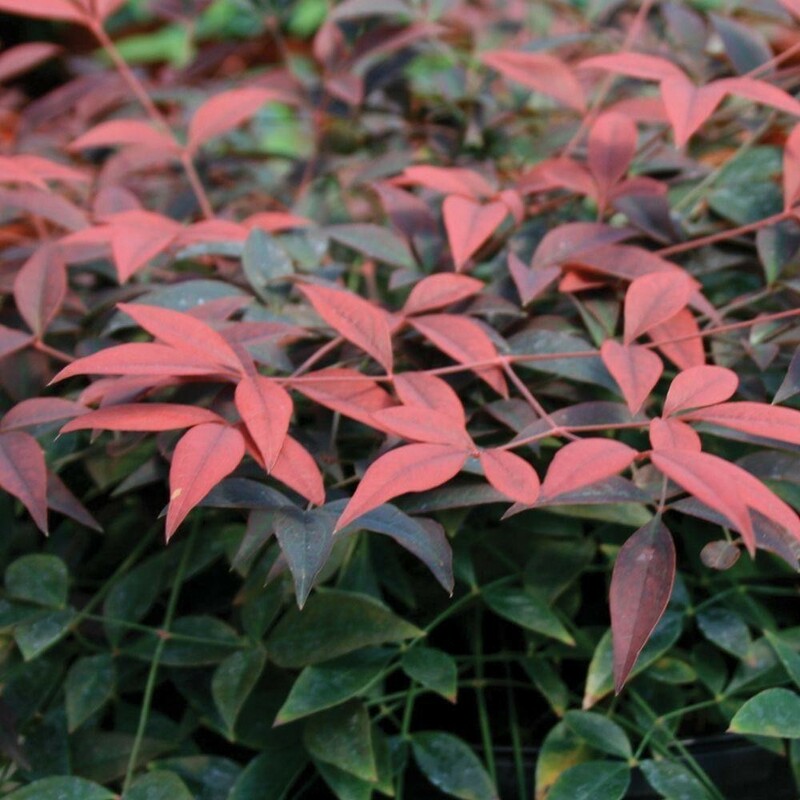 If you like the much loved Nandina Firepower, but are concerned it will grow too tall, then this is the plant for you. Given it's compact nature it also opens up a number of planting options where Nandina may not have been considered in the past. Perhaps try bordering a pathway or nearer the front of the border, or for a dramatic foliage effect in large patio planters. It could even be planted en-masse for a dramatic landscaping effect. Flirt provides year round interest with intense wine-red coloured new growth, small white flowers and then red berries in the Autumn. Over time the new foliage ages to deep green, but this is continually renewed on this lovely evergreen with the fresh vibrantly coloured foliage. 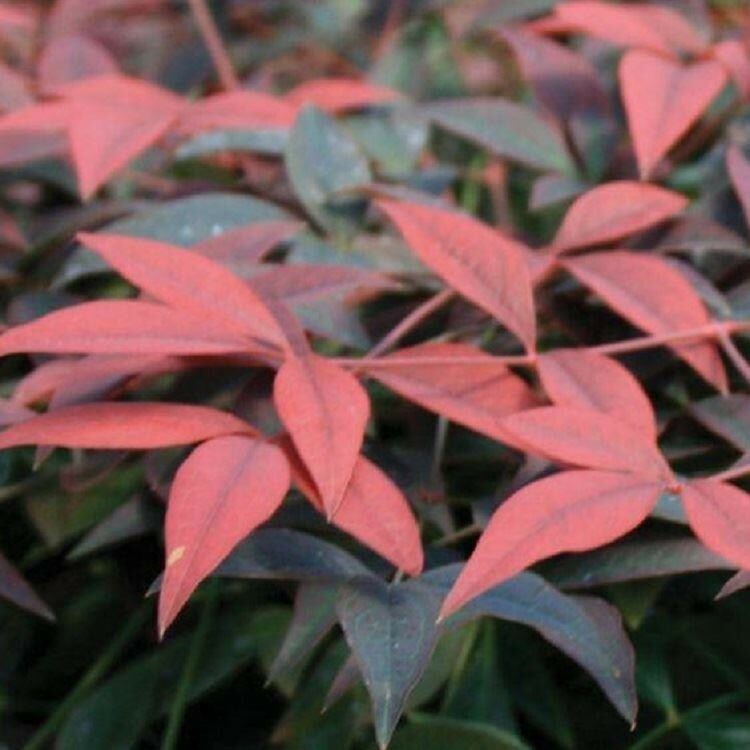 As temperatures drop in Autumn into Winter the older foliage becomes purple red again too, and the plant shines out like a beacon in the winter garden - perfect for when very few plants may be showing interest and colour. Pack of THREE Super quality bushy plants are supplied in approx 2-3 litre containers. Super Quality Plants Supplied as Pictured. Plant these now for immediate seasonal interest. Perfect for adding brightness and garden interest when little else is showing colour, or used in patio planters for a dramatic structural effect.